Ubisoft's open-world hacking game may hit Nintendo's latest console. If you've been dying for Ubisoft's Watch Dogs but don't have an Xbox 360, PS3, or gaming-quality PC, you probably belong to a very small group of people. That said, you may also be in luck. Although the French publisher has not issued a formal announcement, its open-world hacking game could come to the Wii U around the end of 2013. Information comes by way of listings at Amazon, GameStop, and Best Buy, which peg the game as a pre-order with a possible release date of December 31, 2013. Promotional materials for the game indicated that it would make its way to "all home consoles," which gives further credence to the Wii U release possibility. The big question is whether Ubisoft would leverage the Wii U's unusual controller in order to take advantage of Watch Dogs core gameplay features, which include hacking surveillance cameras and jamming cell phone signals. There's also some speculation as to whether Ubisoft may release the title for Microsoft and Sony's next-gen systems, which analysts anticipate will release before the end of the year. 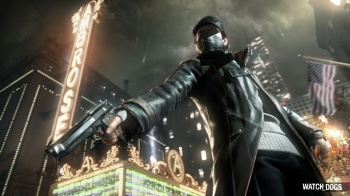 One thing is certain: Assuming the listings are accurate, Ubisoft wants a big release for Watch Dogs, and with a new IP, that's heartening to hear.